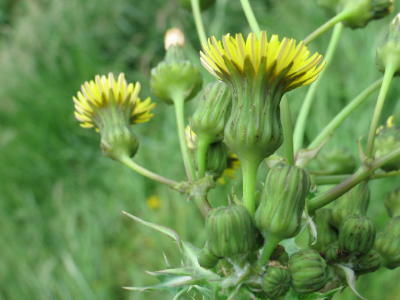 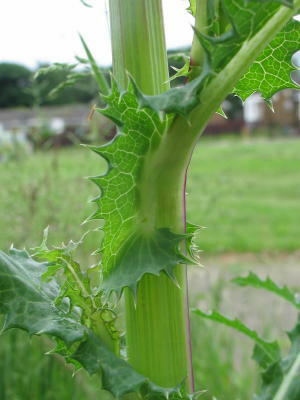 Sonchus asper is a creeping rooted annual, growing 0.4 to 1.5 m (11/3 - 5 ft) tall. 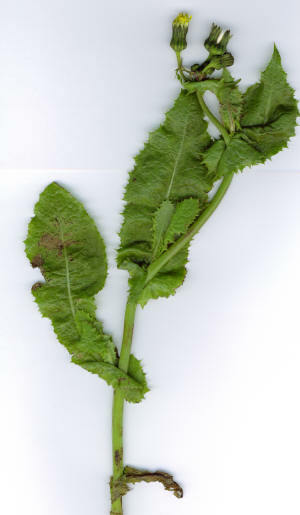 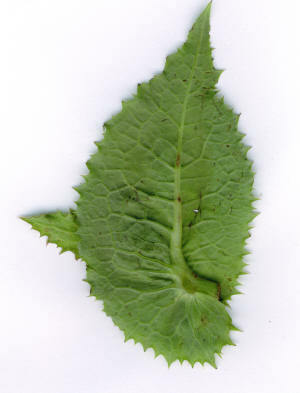 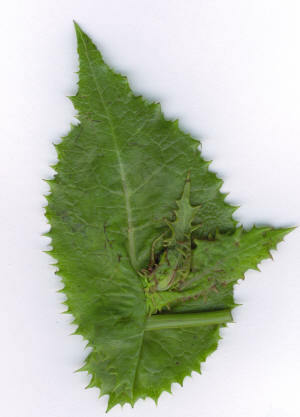 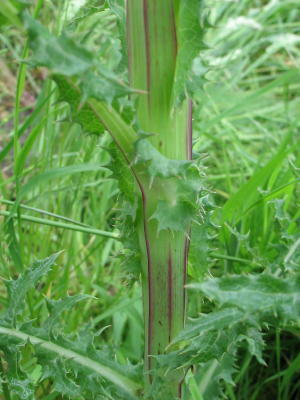 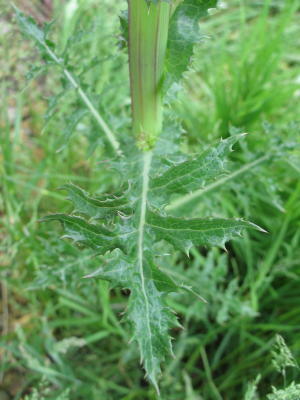 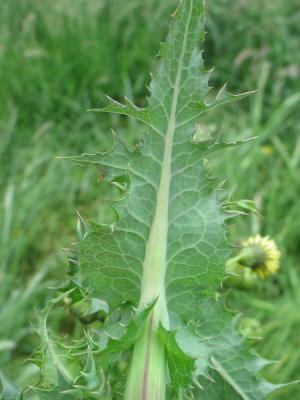 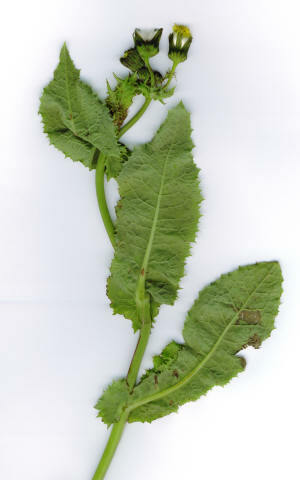 Its stems branch near the top, while its leaves, which have weak marginal prickles, clasp the stem. 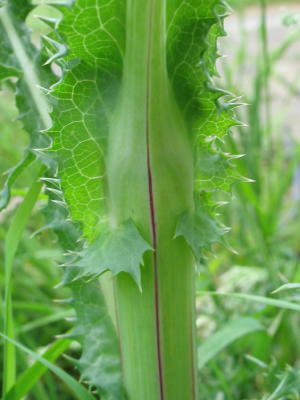 Plants contain a bitter milky juice. 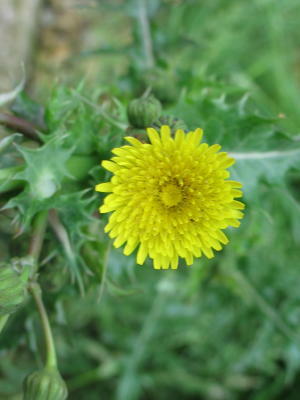 Flowers are golden-yellow, up to 25 mm (1 in) broad.